If you’ve spent any time in Boston — or even just watched the movie Fever Pitch — you know Bostonians are crazy about sports. They live and die with the Red Sox, Patriots, Celtics, and Bruins. Also, if you’ve spent any time paying attention to media over the past couple years — and since you’re reading this, I’m guessing you have — you know that podcasts have become increasingly popular. To try and take advantage of both of those facts, The Boston Globe and Boston public radio station WBUR collaborated last year to launch Season Ticket, a daily podcast focused on Boston sports. The podcast was hosted by a Globe sports columnist and produced by WBUR. They thought they’d be able to reach a large, passionate audience with compelling coverage that wasn’t available from other outlets. The Globe and WBUR decided to end Season Ticket February after a four-month run. This week in Solution Set, we’re going to take a look at what worked and didn’t for Season Ticket and examine the challenges of producing a locally focused podcast. Solution Set is a weekly report from The Lenfest Institute for Journalism and the Solutions Journalism Network. Every Thursday, we take an in-depth look at one fly thing in journalism, share lessons and point you toward other useful resources. • The Challenge: WBUR and The Boston Globe thought they could serve a dedicated audience with a daily podcast covering Boston sports. • The Strategy: The show, Season Ticket, was hosted by a Globe sports columnist and produced by WBUR. It was recorded on weekday mornings and released mid-day. • The Numbers: The station wouldn’t share numbers, but WBUR said podcasts need at least 1 million monthly downloads to be commercially successful. Season Ticket didn’t reach that. • The Lessons: Producing a daily podcast with a small staff is really hard and it can be difficult to keep up with the news cycle. It’s also critical to know when to quit. • The Future: WBUR and the Globe are teaming up for a true crime podcast this fall. • Want to know more? : Scroll down for more on Season Ticket and best practices from other local podcasts. Podcasting is here to stay. 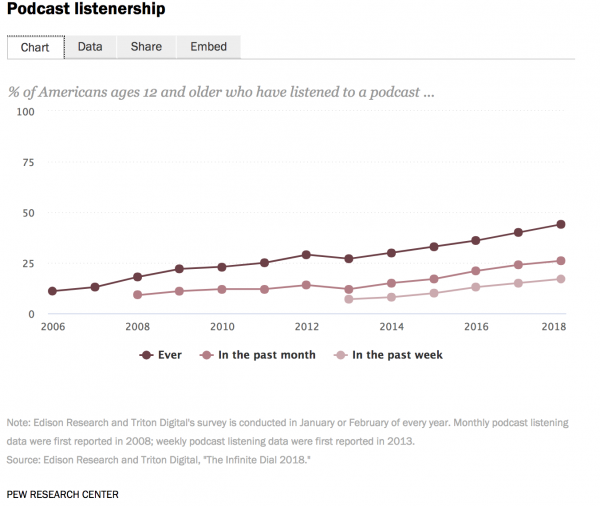 Twenty-six percent of Americans reported listening to podcasts on a monthly basis, according to Edison’s Infinite Dial survey, which was released earlier this year. And as smart speakers and other audio devices become more prominent in people’s homes, the numbers are likely to increase. It’s no wonder that news organizations — especially newspapers and organizations that typically haven’t done audio journalism — have taken an interest in podcasting. The Boston Globe is no different, and last year it began thinking more about how it could make the most of the medium. It had previously dabbled in podcasting, but it wanted to seriously invest in podcasts with a focus on sports. Boston is home to rabid sports fans, and the Globe’s sports reporters and columnists are among the most well-known in the city and beyond. Boston public radio station WBUR also saw an opportunity with a Boston-focused sports podcast. WBUR regularly partners with other news organizations to produce podcasts. Among them: Modern Love and Dear Sugars podcast with The New York Times, and Edge of Fame with The Washington Post. WBUR and the Globe have partnered before on podcasts and are co-producing a new podcast that’s launching this fall. I’ll tell you about both of those in The Lessons and The Future. With a Boston sports podcast, WBUR saw the opportunity to serve a dedicated and very invested audience in a different way than more traditional sports media such as talk radio or cable TV. So last fall, WBUR and the Globe launched Season Ticket, a daily sports podcast hosted by Globe columnist Christopher Gasper. The Globe and WBUR said the initial plan for the podcast was for it to run through the NFL football season, though it covered all of Boston’s sports teams. Each episode was 20-30 minutes featuring Gasper and a range of interviewees, including Globe staffers, other sports journalists, as well as athletes and team executives. Episodes were published Monday through Friday in the early afternoon. Much of the production took place each morning. Gasper would record an interview, and then it would be quickly edited and produced for release later in the day. The podcasts were recorded in the Globe’s newsroom, and a WBUR producer had a dedicated workspace at the Globe. They would then work in conjunction with staffers back at the station to edit the episodes and push them out into people’s feeds. While WBUR handled the podcast production, the Globe handled editorial planning. Gasper hosted the podcast, and Thurston served as Season Ticket’s producer. WBUR primarily handled the business side of the podcast, though they did also work with the Globe’s advertising team. The show initially had an outside sponsor, but later episodes only featured house ads for WBUR podcasts. WBUR and the Globe ultimately decided to stop producing the show earlier this year. The last episode aired on February 9. The podcast wasn’t attracting the audience the partners had initially hoped for and daily production was rigorous. “It was hard to do it every day,” Adler said. WBUR wouldn’t share statistics about listenership, but Adler did say that in order for a podcast to be sustainable, it typically needs more than 1 million downloads per month. And it was ultimately not worth it to scramble to produce a daily podcast for an audience that couldn’t generate enough ad revenue to sustain the production. There were three WBUR staff members working on the podcast. In comparison, most of its daily radio shows have six to 20 people working on them, Adler said. And while Gasper and Thurston worked on each episode, they also had other responsibilities at the Globe — more on that in The Lessons. For comparison’s sake, The New York Times’ incredibly successful daily podcast The Daily has a full-time staff of eight working to produce each episode. • It’s a balancing act: It’s a lot of work to put out a show each day. In addition to the actual daily production of each episode, the Season Ticket staff also had to plan out what it was going to cover in each episode, line up interviews, and also still edit and write stories for the Globe’s website and paper. 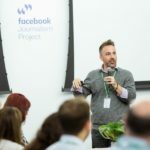 It may seem simple, but if your news organization is thinking about producing a podcast — especially if you don’t typically create audio-based journalism — you should assume that it will be more work than you anticipate, and you’ll need to figure out how to balance staffing responsibilities in order to make it successful. • The news cycle doesn’t stop: Even though the podcast was recorded daily, it was difficult for Season Ticket to keep up with the never-ending sports news cycle. So by the time people may have had time to listen to the podcast on their commute home, it already could have been out of date. This is a challenge inherent to any daily podcast, and the Globe and WBUR weren’t able to figure out a way to make it work on a daily basis. Though it did attempt to do some more evergreen coverage, it was difficult for Season Ticket to delve into more in-depth reporting beyond just interviews because of the staffing constraints. “It was hard to do something beyond, ‘This is what happened at the game today,’” Adler said. • Identify a niche: Season Ticket launched with the idea that it would be a more thoughtful alternative to Boston’s hot take-driven sports talk radio stations. “We tried to not be so reactionary and tried to dig deeper into issues using our voices and the people who are actually doing reporting and are at the games; our expertise more than anything,” Thurston said. Boston sports coverage was a competitive field, but by identifying where it could differentiate itself, the Globe and WBUR thought it would be able to reach interested listeners who weren’t served by the current offerings in the market. But as you research and think about areas where you think a podcast — or any product, really — could serve an audience, you also need to be thinking if that audience will be big enough to monetize. That’s one of the inherent challenges of local podcasts, and some of the most commercially successful podcasts produced by local news organizations, such as the LA Times’ Dirty John, are the ones that have been able to break out of their local markets and reach wider audiences. “By definition, if it’s a local podcast you’re going to have a smallish audience,” Adler said, but given the massive Boston diaspora and national interest in Boston sports teams, WBUR and the Globe thought there would be a large enough listenership to sustain the podcast. • Know when to call it quits: The Globe and WBUR launched the podcast with a commitment to only continue production through football season. So shortly after the Patriots lost in the Super Bowl (a moment Philadelphians are still happily reliving), WBUR and the Globe put the show on hiatus. Both sides recognized that the show wasn’t getting the audience they wanted as well as the production challenges. But because Season Ticket was launched as an experiment of sorts — neither outlet had ever produced a daily sports podcast — and because they gave themselves a timeline by which they could evaluate whether it was succeeding, it provided a framework through which they could make a decision about the podcast’s future. 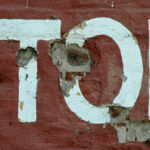 It’s easy for newsrooms just to keep doing things without evaluating whether or not they’re working, but if you’re thinking about experimenting with a podcast or another new product you should work hard to avoid that inertia. Set metrics for success at the outset and develop a timeline that will determine when and how you evaluate whether it’s working or not. • Sometimes money isn’t everything: News organizations, of course, have a public service mission in addition to commercial goals, and sometimes a product, podcasts included, might serve that public service mission without necessarily making money. For example, during the 2015 trial of Boston Marathon bomber Dzhokhar Tsarnaev, WBUR and the Globe partnered to produce a podcast that was a daily recap of the 33-day trial. That podcast was not commercially viable, but it fit squarely in WBUR’s journalistic mission, Adler said. While it would have been different if Season Ticket had been meeting its revenue goals, Adler said it didn’t have that same public-service mission for WBUR. “It’s hard to argue that [Season Ticket] was essential to use all these resources to do it,” she said. And while Last Seen is set in Boston and will be of great interest to listeners in the Hub, WBUR and the Globe also expect that it will attract interest even beyond Massachusetts. “We assume that it’s a national [audience],” Adler said. Last Seen debuts September 17. The Globe also hasn’t ruled out trying a sports podcast again — but in a different format this time. Thurston said it had learned from Season Ticket and that any future podcast would not be daily and would not be as closely tied to the news cycle. • If you care about podcasts, you should subscribe to Nick Quah’s Hot Pod newsletter. Last year, he reported on the launch of Season Ticket. • For more examples of cool local podcasts, you should check out the Flyover Podcast newsletter, which highlights non-coastal podcasts. It’s run by Kelly Moffitt, a Story Corps producer and former St. Louis Public Radio reporter. • No local publication has the resources of The New York Times, but it’s still worthwhile to study and learn from its experience creating The Daily, its daily news podcast. Here’s a story the Times published earlier this year about how each issue comes together, and here’s a profile Vanity Fair’s Joe Pompeo published just yesterday of Daily host Michael Barbaro. Is your newsroom doing anything cool with podcasts or audio-focused journalism? (Smart speakers anyone?) I want to hear about it. I took this picture of Boston’s Fenway Park in 2016. The Detroit Tigers beat the Red Sox 4-3. Miguel Cabrera hit a home run in the 9th inning to win the game. It was awesome.